Home/Healthcare/Reproduction of Viruses – Is it Possible to Prevent Viral Infection? 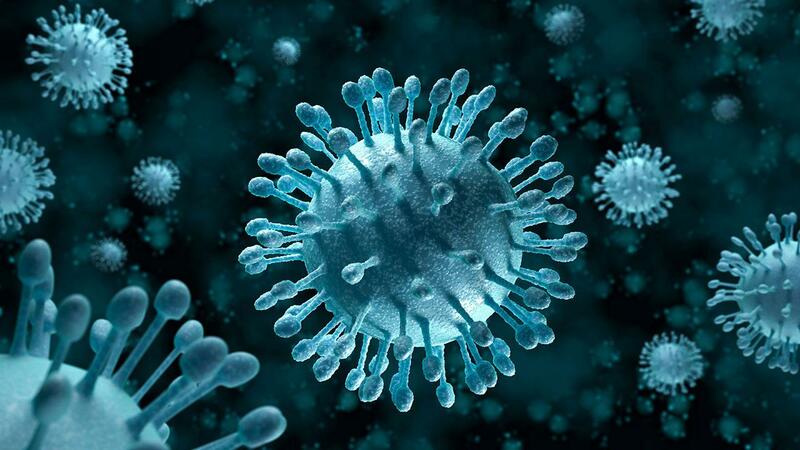 Reproduction of Viruses – Is it Possible to Prevent Viral Infection? Viruses are non-living particles considered by most biologists as they do not breathe and can only reproduce in a living cell called host cell. The reproduction takes place through a process called lytic infection. A lytic cell diagram can explain the steps well how virus reproduces and grows throughout the cells. A virus is infectious to the host cell as it uses its machinery and commands it to reproduce. Viruses are diverse and contain their own shape and structure. A virus works by reprogramming a host cell to become a virus making factory which then spreads the virus in other parts. A virus cannot reproduce on its own as there is no respiration mechanism and that is why they require host cells to reproduce. They are often called packages of protein and nucleic acid as they are very tiny even smaller than living cells. Viruses still tend to be in a questionable zone as they contain genetic variations and can evolve themselves. Virus and bacteria function to make us sick but they both are very different otherwise. Lets have a closer look at how they work and reproduce causing trouble. Biologically, viruses and very different from bacteria although they both work for the same purpose. Bacteria are living cells as they can reproduce themselves. Bacteria does not depend on host cells for reproduction which is why they are treated much differently than viruses. Bacteria is often treated with the help of antibiotics which do not work for viruses. Bacteria is much bigger in size than a virus. Viruses vary greatly in shapes and features, however, some key features remain the same. The structure of a virus contains a protein shell to protect itself. The shell is known as capsid. The nucleic acid genome is tucked inside the protein shell which is made up of DNA. There is a layer of membrane on the outside of virus called as an envelope. A viral infection is often considered nasty as it troubles us in form of a flu or chicken pox. During a life cycle of a virus, viruses use cells to make multiple copies of themselves. The lytic cycle is a set of steps in which the virus enters the host cell and reprograms it to replicate itself to spread virus throughout the body. The main steps are defined below to have a better look at how the cycle proceeds. 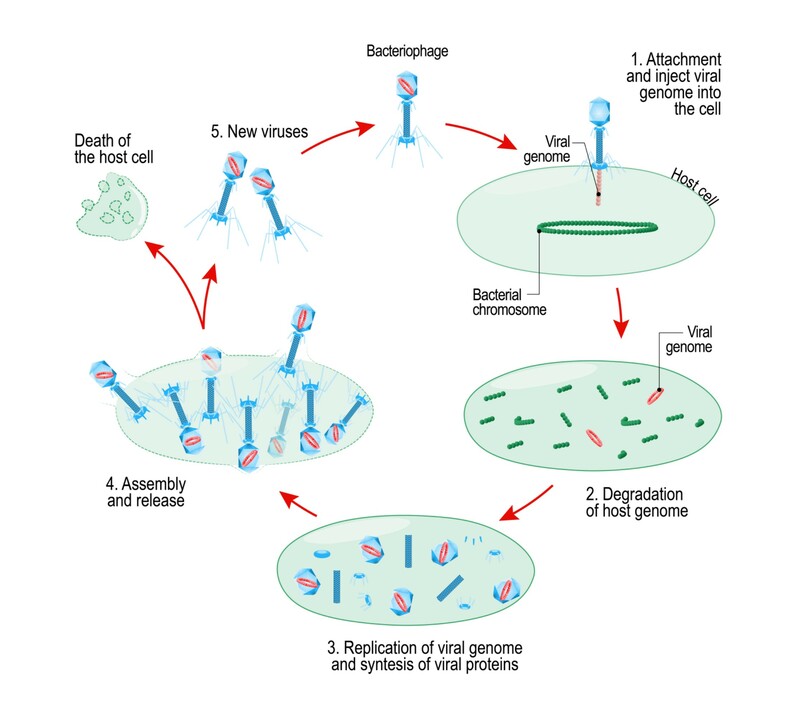 The first step involves the attachment of virus to the host cell. The genes are injected into the host cell to infect the host cell and reproduce. New proteins and nucleic acids are formed by changing the metabolism of the host cell. The assembling of new proteins and nucleic acids takes place into new viruses. The infected host cell bursts because of virus enzymes to spread virus to other cells. It is essential to eat a diet rich in nutrients and antioxidants in order to prevent viral infections. A Vegetable Diet plan full of protein, healthy fats, fiber, iron, and other vitamins will help your body fight back infections efectively. Also try to wash hands with soap and do not often touch your face as this may spread bacteria all over. Using a hand sanitizer may also save you from viruses as it kills germs. There are vaccines to prevent viral infections and antiviral medicines to treat infections. Vaccines are proved as an effective method to reduce the severity of any viral infection.